I live where summer sizzles and potlucks are plentiful. 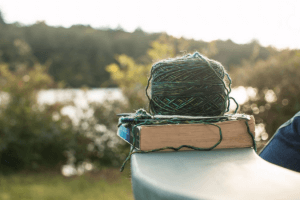 So when it’s time to head to the lake, the pool, or a friend’s house, I need a quick, easy, and healthy recipe at hand that everyone can enjoy. This firecracker slaw is perfect! I can make it and get on with the summer fun. 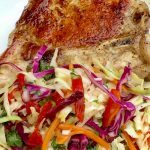 This firecracker slaw is a great side for grilled pork chops! If you’ve checked out any of my other recipes, you know that I like things that can’t be easily “messed up.” This firecracker slaw fits the bill. I also like recipes that don’t require a lot of precision – like my family’s favorite muffins. This firecracker slaw fits the bill. I like recipes that can be played with to make them unique enough to suit anyone’s taste. Yep! 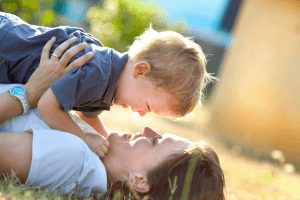 Firecracker slaw can do that too; you can even make it less firey for the kiddos! This firecracker slaw is quick, easy, and healthy. It's perfect to bring to a gathering of friends <g class="gr_ gr_64 gr-alert gr_spell gr_run_anim ContextualSpelling" id="64" data-gr-id="64">any time</g>. Enjoy! In a large bowl, whisk together first four ingredients: oil, chilies in adobo, lime juice, and champagne vinegar. Then add red pepper, cabbage, carrots, and cilantro.Blend everything together until the slaw is well coated with the dressing. I have a couple tricks up my sleeve that make this recipe even faster and easier. How many times have you made a recipe that calls for 1t of chopped chilies in adobo? But you can only buy them in a whole can! It used to make me crazy and cause so much waste. So, now, when I open a can, I chop the entire can of chilies with sauce and I add one tablespoon at a time into an icecube tray and freeze them. Once they are frozen, I remove them and keep them in the freezer in an airtight container. Then I just pull out a cube each time I need it and they defrost quickly! I do the same with fresh lime juice. I juice a lot of limes at the same time and freeze the juice in ice cube trays. Then I have real lime juice any time I need it! 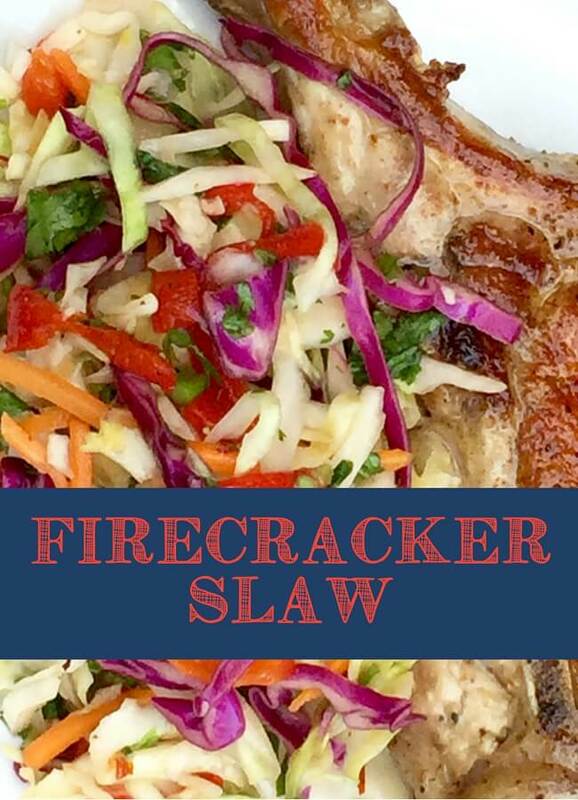 This firecracker slaw is perfect as a side dish; we love it with grilled pork chops! But I love it because it’s also great the next day on any kind of tacos – especially fish tacos! It’s great on burgers or hot dogs. But, my personal favorite way is to use your favorite taco meat as a topping for a big bowl of this firecracker slaw. It sounds weird, but it’s really just a simple taco without the shell – making it low carb and gluten free.